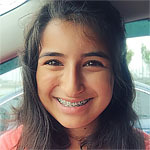 Seton junior Sabrina Olomi shares her 7 tips for high school homeschooling, and they work well with life, travelling and when you’ve fallen behind! 1. Know where you are in relation to the school year. 2. Know how much work you did in a day. 4. If you get behind, don’t try to cram to catch up. 5. Try to get ahead if you can. 6. Do school at the library. 7. Motivate yourself, and don’t be afraid to work in summer. 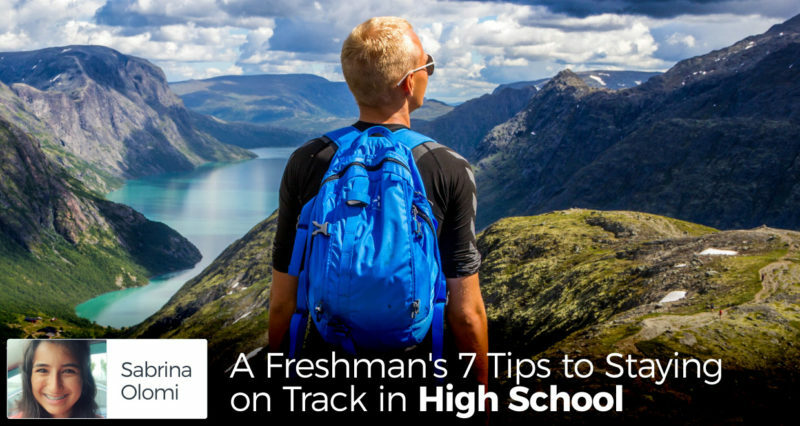 One of the most important and probably the most challenging task for high school students is staying on track. True, this is very difficult, but there are many tips to help you. These are the methods that work for me. Learning from my older siblings, and in my own short experience, it’s very important to know what week you are on, and know what week you should be on. Sometimes, it’s easy to forget where you are in relation to the school year; sometimes you might even think you are on track. However, when the first semester ends, or when summer break nears, the reality hits you that you are really behind and need to catch up on a lot of school work. So, know where you are in relation to the school year because it will save you from a lot of catching up to do. Writing in my teacher plan book really helps me know if I did enough work in a school day. I try to log in what I did for each subject; that way by the end of the day I know what I did. Often, I think that I did enough school work, when really I didn’t. Looking over what school work I did in my teacher plan book shows me if I was productive in the day. In addition to writing what school I did, I also put a check mark by the day if I think I did a constructive amount of work. By the end of the week, I can see if the majority of days were productive, and if not, I know that next week I need to try harder. My siblings and I all take lessons on the same musical instruments. That means that I usually have about thirty minutes or so between the end of one class and the beginning of a new one. Not wasting time is definitely a struggle for me, and since the teachers come to our house, it’s easy for me to find things other than school to do in that thirty minute time gap. However, there have been days when I do school within that time, and by the end of the day, I find that I have done a lot more work compared to days when I do waste time. This is just one example; I also get a lot more school work done when I take it with me to doctor appointments, etcetera. I usually have quite some time from the point when I’m brought into the room, to when the doctor comes. Instead of being bored trying to find something to do, pack school and get work done. Life is full of surprises! No matter how hard you try, you are, at one point, going to get a little behind. That’s okay, because you can always catch up. But, you do want to be careful not to be cramming in the work you are behind in; that will eventually do you more harm than good. Firstly, you’ll probably end up getting really tired before your school day is over. Secondly, you most likely will not remember the information. And thirdly, cramming will not help you enjoy your high school experience because you will constantly be stressed about getting the work done. I find that it’s easier to catch up when I do two days of the subject, and, if I feel like I completely understand the information, I do one more. If you work on catching up two days at a time, you will find that you are back on track quickly, and you also remember that information better. Like I said before, you will have days when you will not get as much school done as you would like. To prepare for days like those, try to get ahead. If you are up to it, double up on some days. If you find yourself bored on a Saturday, do some school and get ahead. Then, when you are unexpectedly sick, or you can’t do school for some reason, you won’t have to fret about getting behind. When I’m at home, I get distracted really easily. Especially now that all my siblings and I are in high school, we have started going to the library often. This is a big help mainly because there isn’t really much to do at the library, except read. Plus, the library provides a quiet atmosphere, one that home may not provide. My siblings and I also study at the library with some friends, and that gives me something to look forward to besides doing school. I have a success chart in my room, and when I have a productive day, I put a sticker on it. I know it might seem childish, but it helps me to look forward to completing the success chart and then get a reward for having X amount of productive days. Also, my siblings and I like getting a reward for finishing a school subject. My family usually takes a vacation when everyone else is in school, so we already know that we will have to do some work when summer comes. But that is the beauty of homeschooling; you’re not bound to a strict schedule. Don’t be afraid to do school in summer. I always think I’ll be working my day away at my books, but every time I have a great summer. I hope these tips give you ideas on how to stay on track; or maybe you do some of these, and now you know you’re not the only home-schooler using these methods! I will be praying for all you Seton high schoolers out there! Sabrina Olomi is a thirteen-year-old freshman who loves to sing, play piano and guitar, sew, paint, craft, read, and write. Sabrina also likes to do different hairstyles with her older sister. She loves Mother Teresa, Fulton Sheen, St. Francis, and St. Paul. Sabrina enjoys entertaining little toddlers; and one day hopes to make a business involving the little ones, hairstyling, and sewing.